LOUIS TRICHARDT, South Africa, Jul 26 2016 (IPS) - Brightly coloured cans, bags of fertilizer and packets containing all types of seeds catch the eye upon entering Nancy Khorommbi’s agro dealer shop tucked at the corner of a roadside service station. But her seeds and fertilizers have not exactly been flying off the shelves since Khorommbi opened the fledging shop six years ago. Her customers: smallholder farmers in the laid back town of Sibasa, 72 kilometers northeast of Louis Trichardt in Limpopo, one of South Africa’s provinces hard hit by drought this year. The reason for the slow business is that smallholder farmers cannot access, let alone effectively use plant-nourishing fertilizers to improve their low productivity. “Some of the farmers who walk into my shop have never heard about fertilizers and those who have, do not know how to use them effectively,” Khorommbi told IPS said on the sidelines of a training workshop organised by the International Fertilizer Association (IFA)-supported African Fertilizer Volunteers Program (AFVP) to teach smallholders farmers and agro dealers like her about fertilizers in Limpopo. Khorommbi, describing information as power, says fledging agro-dealer businesses are a critical link in the food production chain. Agro-dealers, who work at the village level, better understand and are more accessible to smallholder farmers, who in many cases rely on the often poorly resourced government extension service for information on improving productivity. 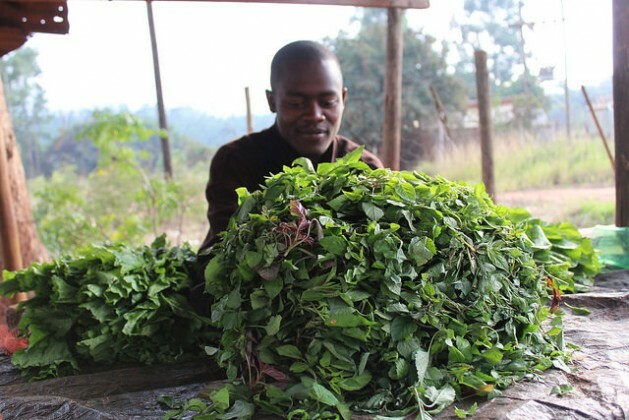 “Smallholder farmers can make the change in food security through better production, one of whose key elements is fertilizer,” said Khrorommbi, one of more than 100 agro-dealers in the Vhembe District of Limpopo. Noting the knowledge gap on fertilizers, the African Fertilizer and Agribusiness Partnership (AFAP), supported by the United Nations Food and Agriculture Organisation (FAO) and private sector partners, launched Agribusiness Support to the Limpopo Province (ASLP) in 2015 which has trained over 100 agro-dealers in the Province. The project promotes the development of the agro dealer hub model, where established commercial agro dealers service smaller agro dealers and agents in the rural areas, who in turn better serve smallholder farmers by putting agricultural inputs within easy reach and at reasonable cost. The AFVP aims to attract the private sector in South Africa – a net fertilizer importer – to developing the SMEs sector in the fertilizer value chain focusing on smallholder farmers and agro dealers. Smallholder farmers hold the key to feeding Africa, including South Africa, but their productivity is stymied by poor access to inputs and even effective markets for their produce, an issue the FAO believes private and public sector partnerships can solve. 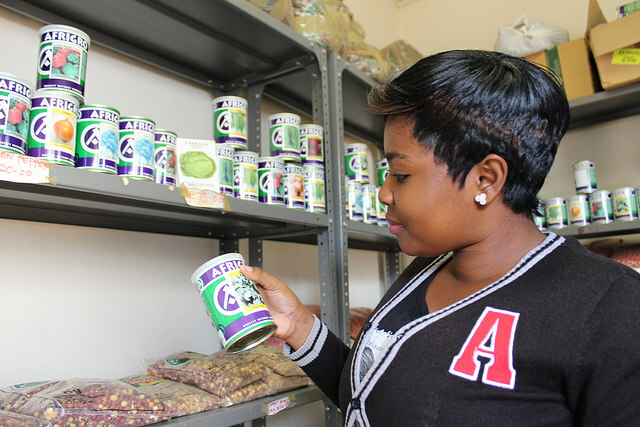 AFAP and a private company, Kynoch Fertilizer, have embarked on an entrepreneurship development program for smallholder farmers and agro dealers in the Limpopo province, one of the country’s bread baskets, in an effort to help close the ‘yield gap’ among smallholder farmers. Smallholder farmers and agro dealers have been trained on fertilisers, soils, plant nutrients, safe storage of fertilizers, environmental safety and business management skills. In 2006, African Heads of State and Government signed the Abuja Declaration at a Fertilizer Summit in Nigeria committing to increase the use of fertilizer in Africa from the then-average 8kg per hectare to 50kg per hectare by 2015 to boost productivity. Ten years later, only a few countries have attained this goal. Mkandawire said research has established that for every kilogram of nutrients smallholder farmers apply to their soils, they can realize up to 30kg in additional products. Research has shown that smallholder farmers in South Africa in general do not apply optimum levels of fertilizers owing to high cost, poor access and low awareness about the benefits of providing nutrition for the soil. Fertilizer Registrar and Director in the Department of Agriculture, Fisheries and Forests (DAFF) in Limpopo Province Jonathan Mudzunga says smallholder farmers have structural difficulties in getting much needed fertilizers, a critical input in raising crop yields and providing business and employment creation opportunities for agro dealers. “Commercial farmers are successful because they have access to inputs such as fertilizers and knowledge and it does not mean smallholder farmers are having challenges because they do not know how to farm but the biggest issue is knowledge and access to affordable inputs,” Mudzunga said. Agriculturalist at Kynoch, Schalk Grobbelaar, says smallholder agricultural production in Limpopo is hampered by, amongst other things, low use of productivity-enhancing inputs such as fertilizers, seeds and crop protection products; animal feeds and veterinary medicines for livestock. “Fertilizer increase yields. We fertilize what crops will take away and we put back into the soil but farmers lack knowledge on the balancing fertilizers according to what crops need,” said Grobbelaar. The South African government is promoting SME development and growth of smallholder farmers who are key to tackling food insecurity at household level. Despite their high contribution to economic growth and job creation, SME’s are challenged by among other factors, funding and access to finance, according to the 2015/16 Global Entrepreneurship Monitor (GEM) Report. Lack of finance is a major reason for SMEs – which contribute 45 percent to South Africa’s GDP- leaving a business in addition to the poor management skills which are a result of lack of adequate training and education. While the country produces more than enough food for all, many South Africans do not access the right amount and type of food, says a 2014 report by the Southern Africa Food Lab, an organisation promoting food security in the region. “Poor South Africans are not able to spend money on a diverse diet. Instead the only option to facilitate satiety and alleviate hunger is to feed family members large portions of maize meal porridge that do not address nutritional needs,” according to Laura Pereira, author of the Food Lab report. Microsoft founder Bill Gates, bemoaning underinvestment in Africa’s agriculture, said innovation from farm to market was one solution to turning the sector – employing half of the continent’s population – into a thriving business. “African farmers need better tools to avoid disasters and grow a surplus – things like seeds that can tolerate droughts, floods, pests, and disease, affordable fertilizer that includes the right mix of nutrients to replenish the soil,” Gates said when he presented the 14th Nelson Mandela Lecture in Pretoria, South Africa last week. Gates said farmers need to be connected to markets where they can buy inputs, sell their surplus and earn a profit and for them to reinvest in into the farm. That in turn provides on and off the farm employment opportunities and supports a range of local agribusinesses.